I followed this week's sketch to make a little Unicorn Haven. I made my cloud mask using a cloud die then sponged my rainbow using painters tape to mask off my stripes. I love this sweet little unicorn from Your Next Stamp. Isn't he the cutest! You will find links below. Oh, this is so adorable! I love your super sweet take on the sketch! 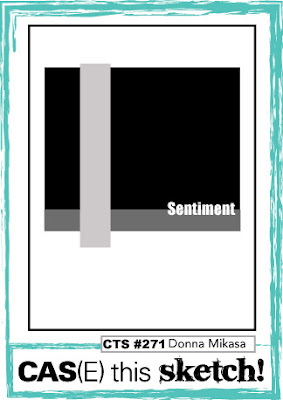 Congratulations on guest designing for CTS this week! Yay you! Love your card Lisa! 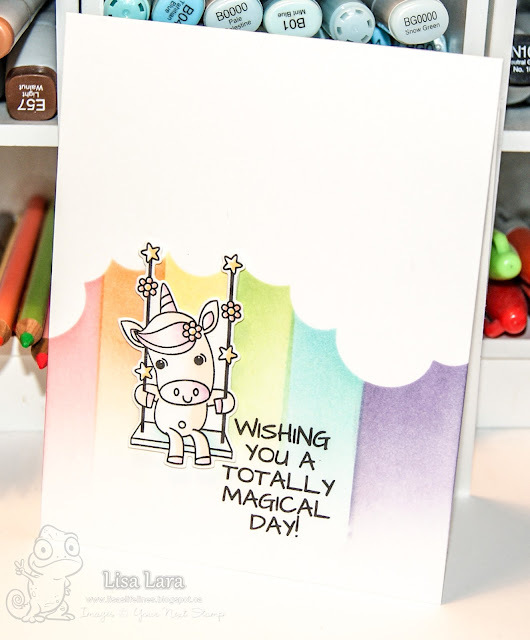 Congratulations on being guest this week and I think your card is so fun with the unicorn! So wonderful to have you guesting with us, Lisa! LOVE your take on the sketch--rainbows and unicorn for the win! Swinging from a cloud! Now that's imagination. Adorable!! What a super fun card! So glad to have you along with us this week at CAS(E) This Sketch! Love the sketch, and so cute with your unicorn, cloud edge, and rainbow colors. You're infinitely creative! What a sweet rainbow background, Love it Lisa!